Millions of students every year experience homelessness, a foster care placement, an incarceration, or an unmet mental or physical health need. And while the organizations and individuals that serve these youth act with the best intentions, existing technologies and practices result in fragmentation and poor communication among the adults working with a given young person. Different agencies may only be aware of particular aspects of a student’s life: one agency may know about a student’s health history while another knows about their past foster care placements. There is hope, however: a number of districts and states have begun to innovate and design technological solutions to resolve the issue of agency fragmentation. to important information about their youth in care through a web-based application. 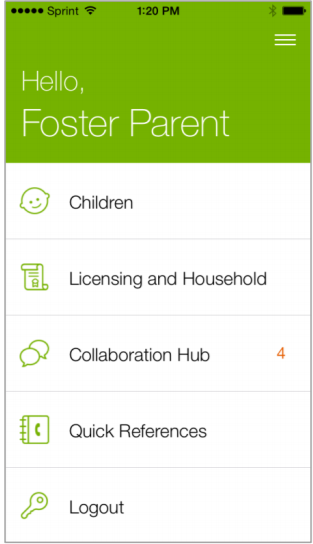 The application includes medical contact information, important dates such as court hearings, and licensing and training requirements for the foster parent. Easy access to information allows the student and the adults in their lives to remain aware of milestones and data to best serve youth. Allegheny County in Pennsylvania has developed a Data Warehouse that consolidates its internal human services data — including child welfare, behavioral data, homelessness, and more — to better support individuals the county serves. Placing important data in a central warehouse helps resolve the silos that previously existed in the many departments and agencies within the county. Access to this data helps evaluate the impact of specific interventions for an individual’s care or determine the effectiveness of an entire program. The Silicon Valley Regional Data Trust (SVRDT) establishes a network of collaboration to overcome the barriers siloed data systems create when serving children and families. SVRDT combines data from three local jurisdictions: San Mateo, Santa Clara, and Santa Cruz counties. Communication between jurisdictions is often limited, as communication within county agencies themselves are fragmented. The Trust incorporates new technology and research to assist the three counties in collaborating and innovating to better serve their students. Opening communication between local and state jurisdictions. Our new Bellwether publication, Disrupting the Divide: The Role of Technology in Mitigating the Impact of Data Fragmentation on Students, combines a number of priorities different jurisdictions seek to resolve by defining an aspirational tool named CountinuityCounts Services. Based on input from youth, data strategists from school districts, data scientists and engineers, application developers, data advocates, nonprofit organizations, and state board of education staff, ContinuityCounts would help address agency fragmentation for students who have experienced significant disruptions in their education. ContinuityCounts Services, an aspirational tech tool that contains important data on a student’s history and goals. Our publication first describes the obstacles a student and the student’s advocate face when the student transfers between school districts. Empower students to advocate for themselves. ContinuityCounts Services challenges the current practices of data and information sharing by proposing a number of considerations for state education agencies, chief information officers, public agencies, data advocates, and tech companies. Privacy concerns with the Family Educational Rights and Privacy Act (FERPA) and Health Insurance Portability and Accountability Act (HIPAA) continue to be the key constraints for technological solutions, and this publication acknowledges the balance between information sharing and keeping the student’s data and information safe. The ideal tool must provide the technical foundation to best integrate communication and practice between social service agencies, improve data and information sharing, and empower the people who serve youth every day. 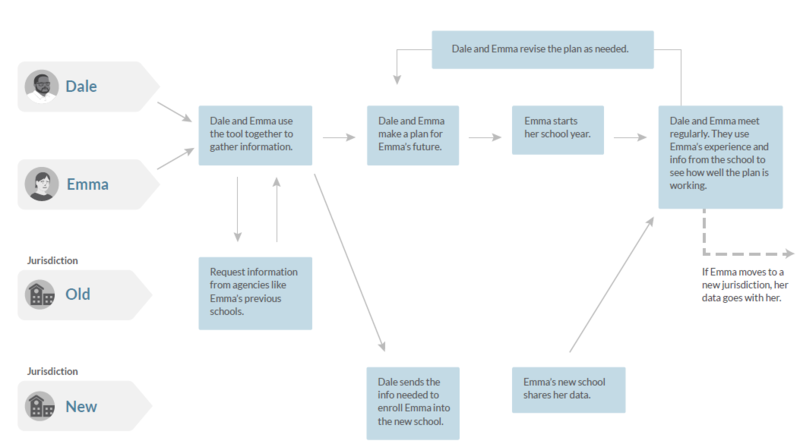 This entry was posted in Education Innovation, Education Technology, Student Data and tagged foster care, Fragmentation, Student Data, technology on July 9, 2018 by Justin Trinidad.